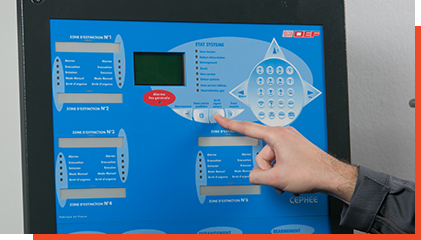 The installation and commissioning of a Fire Safety System require in-depth technical, normative and regulatory knowledge to ensure the highest level of performance and reliability. Our teams of engineers and technicians have the best skills to carry out quick commissioning. Our extensive national presence allows us to offer you excellent services and comprehensive support at all your sites.